This project entailed the substantial rehabilitation of a 55,846 square foot industrial building in the Lincoln Heights neighborhood of Los Angeles. LA Prep provides commercial kitchen space licensed for wholesale use for approximately 50 small- to medium-sized food producer tenants. The project's anchor tenant will be the L.A. 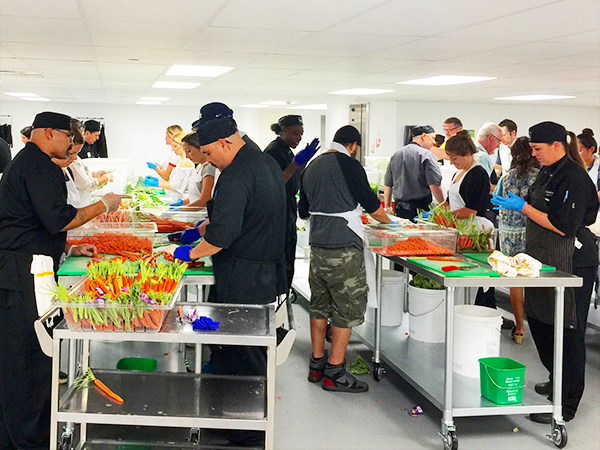 Kitchen, a nonprofit that will operate a commercial kitchen and produce processing hub that prepares meals and nutritious snacks for seniors and low‐income families. Also, they will provide job training for 80 to 100 individuals per year representing emancipated foster youth and older adults exiting the prison system. The project is a one-of-a-kind facility that incubates small businesses and provides healthy food access for 1,000 low-income seniors (estimated for its first year of operations).